Are you a good App Developer? And wants to be first listed on Windows Store website, than you can become a first lucky person to get listed on Windows Store website with your best made Metro Style App for Windows Store. Microsoft has started a competition for App Developers to develop best possible app for windows store at buildwindowscontest website and the lucky persons will have a chance to get the Windows 8 beta update before anyone else on web. 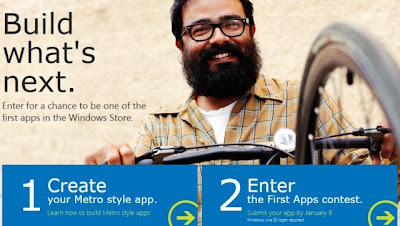 It’s a Microsoft marketing strategy to gain developers attention for their first ever Windows App Store. The first apps contest will select eight winning apps to be the very first apps in the Windows Store when it opens. This is your chance to show off your great app and to be part of an exclusive group of developers invited to participate in the Store when it first opens. The competition is only open and available for selected countries include, a legal resident of the 50 United States and District of Columbia, France, Germany, Japan, or India. A Windows Live ID is required to enter in the competition. One year of Windows Azure, so you can build apps that feel connected and alive. A Samsung Windows Developer Preview PC from the BUILD conference, so you can test your apps with touch and sensors. A two-year subscription to the Store, so you can continue to update and improve your app. The big news is that the Windows Store will be made available when Windows 8 goes into its public beta, which Microsoft has now confirmed will happen sometime in late February 2012. 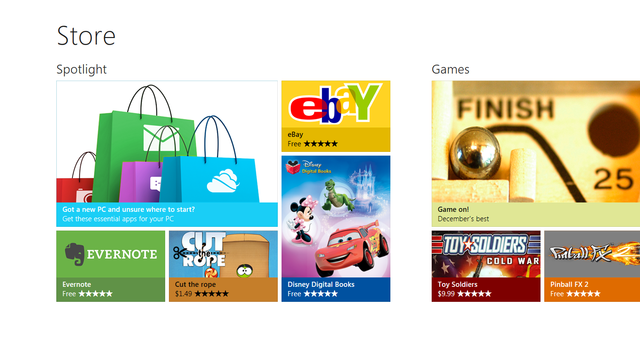 All apps in the Windows Store for the Windows 8 beta will be free to download. However, Microsoft will be making private invites to developer who want to offer their apps for the store during the beta period. You will get more information on Windows Store and its competition here.